The Army’s force posture is out of balance, with a greater percentage of troops stationed in the United States than at any time since the late 1940s. This has forced an over-reliance on lengthy, continuous rotational deployments to achieve deterrence and assurance in theaters such as northeast Asia and Europe. This finding is based on a 9-month study assessing the costs and benefits of rotational deployments and forward stationing. The analysis reveals that in terms of fiscal cost, training readiness, morale and family readiness, and diplomatic factors, the United States could likely achieve deterrence and assurance objectives more efficiently and more effectively with increased forward stationing. 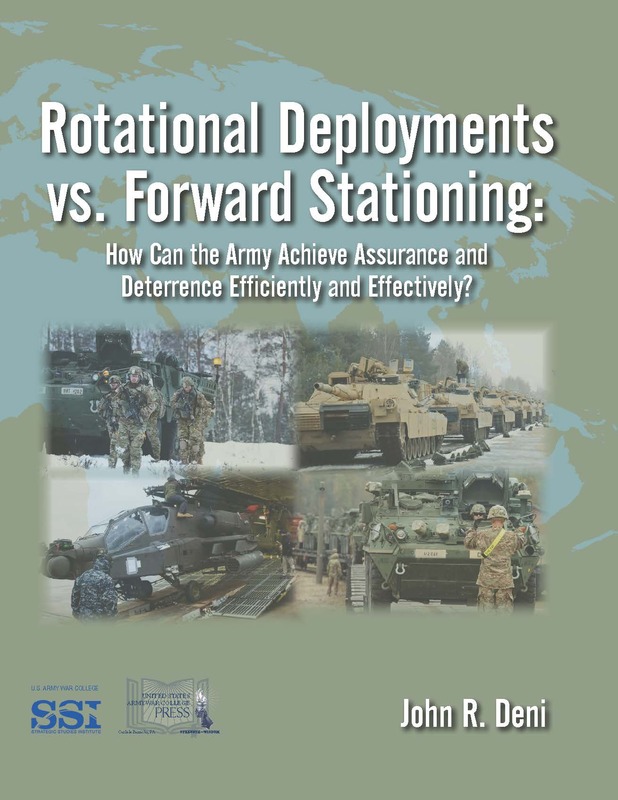 The recommendations address what kinds of units would be best suited for forward stationing, where forward stationing would be most efficacious, and how the Department of Defense should go about rebalancing Army force posture. Leadership receives a tremendous amount of attention, but what about the day-to-day command challenges that confront O-4s, O-5s, and O-6s in today’s war zones? What has command entailed over the past decade and a half for special operations force (SOF) commanders who have deployed to Afghanistan (and Iraq) either to lead or to work under Special Operations Task Forces (SOTFs) or Combined Joint Special Operations Task Forces (CJSOTFs)? In both theaters, officers have had to contend with various competing hierarchies and significant churn. What then might the Army and military do to obviate or mitigate these and other problems? The contours of a potential solution are described and its benefits discussed. Parameters 47, no. 4 (Winter 2017–18). 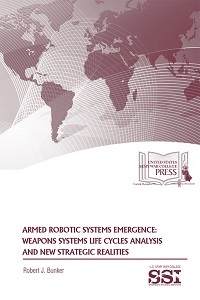 This article examines the potential implications of the combinations of robotics, artificial intelligence, and deep learning systems on the character and nature of war. The author employs Carl von Clausewitz’s trinity concept to discuss how autonomous weapons will impact the essential elements of war. The essay argues war’s essence, as politically directed violence fraught with friction, will remain its most enduring aspect, even if more intelligent machines are involved at every level. There are many risks to the U.S. Army’s command and control (C2) operations and to its intelligence and information warfare (IW) capabilities. The challenges include: significant uncertainty; sudden unexpected events; high noise and clutter levels in intelligence pictures; basic and complex deceptions exercised through a variety of channels; the actions of hidden malign actors; and novel forms of attack on U.S. and allied command, control, communications, computers, information/intelligence, surveillance, targeting acquisition, and reconnaissance (C4ISTAR) systems. If the U.S. Army is to secure and maintain information dominance in all environments, it must exploit complexity and uncertainty in the battlespace and not simply seek to overcome it. Innovation requires that new ideas are considered, and that old ideas should be robustly challenged. 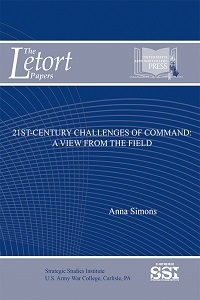 To achieve and maintain information dominance, the U.S. Army will also require a significant injection of innovation, a robust and resilient C2 and intelligence capability, novel technologies and an accelerated information operations capability development program that is broad, deep, sustained and well-coordinated. Furthermore, once information dominance is achieved, maintaining it will demand continuous change and development. FEATURES: Special Commentary. “The Military as Social Experiment: Challenging a Trope” by Jacqueline E. Whitt and Elizabeth A. Perazzo. Teaching Strategy. “Stuff Happens: Understanding Causation in Policy and Strategy” by Andrew A. Hill and Stephen J. Gerras. “Comparative Strategy in Professional Military Education” by Jean-Loup Samaan. Nontraditional War. “Russia’s Military and Security Privatization” by Christopher R. Spearin. “Russia’s Frozen Conflicts and the Donbas” by Erik J. Grossman. Traditional War. “Fighting Russia? Modeling the Baltic Scenarios” by Ben S. Wermeling. “The Conventionality of Russia’s Unconventional Warfare” by Patrick J. Savage.